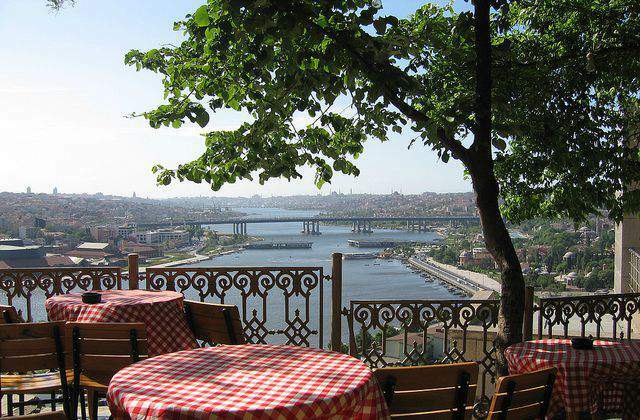 Romantic Pierre Loti hill in Istanbul's Eyup neighborhood opens a magnificent panoramic view of the Golden Horn. Take a short cable car ride to the top of this historic place to enjoy your time. There is an old Turkish cafe with Turkish tea and coffee, Aziyade restaurant, a bookstore, hookah (nargile) house, terrace cafe, a historical cemetery and endless scenery. Location: Eyup, Istanbul. Take a bus to Teleferik Pierreloti stop. Take a taxi to avoid all the stops the public bus makes. Hop on hop off Istanbul tour bus stops here. Price: Pay for a cable car with your Istanbul Card or purchase coins at the cable car entrance. "...an enveloping darkness aids one to clearer vision..."
French novelist and a naval officer Julien Viaud (1850-1923) was sent to Istanbul in 1876 as a soldier. Young writer's pen-name was Pierre Loti. Story tells he fell in love with one of the concubines (enslaved mistress of a Sultan) and kept a diary about his love. He wrote a book Aziyade (1879) after the name of the woman he loved. The book is based on a true story of Julien’s relationship with the woman of harem (women’s quarter in Ottoman royal residencies). The author added fictitious elements to the novel and published it anonymously. His true name, however, was revealed soon after the publication. Julien Viaud visited Istanbul often. He stayed in Eyup, overlooking a natural harbor Golden Horn of Istanbul. The French man engaged in Ottoman politics and wrote poems expressing his support of the ruling government. The hill was named after the novelist in respect of his loyalty to local elite. Drink coffee made on coal stove in historical coffee shop. Even if you are not fond of Turkish coffee, have a sit to appreciate the view of this historical hill in Istanbul. Walk through the historical graveyard. This is one of the oldest and largest Muslim graveyards in Istanbul. 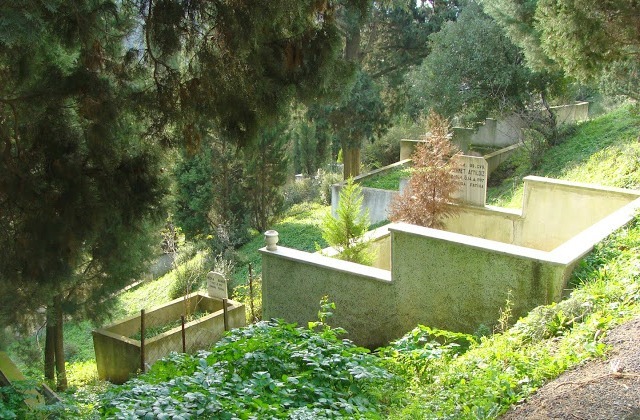 Find graves of Ottoman sultans, high-ranked religious leaders and other Istanbul elite buried here. (!) The pathways of the cemetery are not guarded by police or any other government entities. Do be careful. Several assaults in the 90s took place here. Get Aziyade book from the bookstore. You can have the full story in French, English or other languages. The novel is also available in comix pictures. Walk in Eyup Sultan Mosque. It is said Abu Ayyup al-Ansari - a friend of Prophet Muhammad - was buried on the territory of this mosque. There are only two accommodations available near the hill. Choose one or the other to experience the true Istanbul neighborhood. 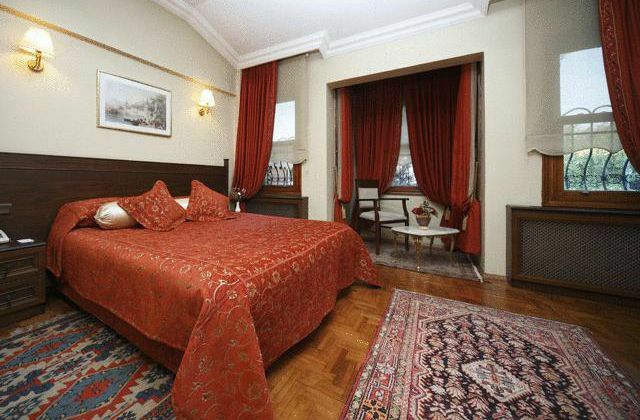 You will be relatively close to Sultanahmet with major tourist attractions. Extra walking you might have to do will be compensated by the breathtaking view you will have from these hotels. 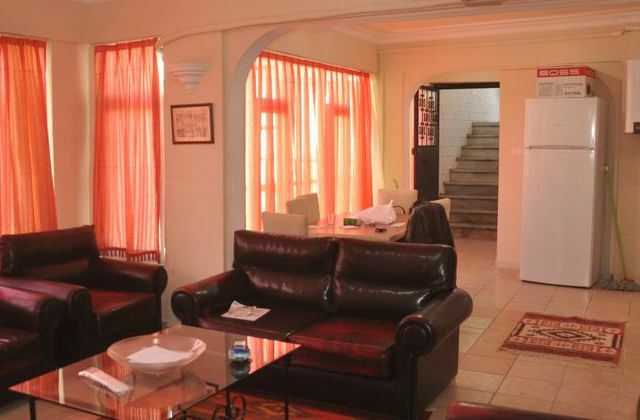 The PierreLoti House is a spacious 5-bedroom house with view of the city. Make yourself comfortable in these air-conditioned facilities. Bring up to 9 guests. Find everything you might need here - linens, towels, personal hygiene products. Prepare your own snacks in the fully equipped kitchen. Enjoy free WiFi. Location: Idris Kosku Avenue No: 1, Eyup, Istanbul. Turkquhouse Hotel offers spacious room decorated in traditional Turkish style. Rest in a sauna and Turkish bath (hamam) available on the premises. All rooms are air-conditioned and have WiFi. Start your day with a breakfast at Aziyade restaurant, get a drink at terrace cafe and view all 7 hills of Istanbul from here. Spend your free time at recreation area with TV and backgammon board game. Location: Merkez neighborhood, Idris Kosku Avenue, Eyup, Istanbul. Julien Viaud was born on January 14, 1850 in a sea port town of Rochefort, France. He adored his house to the end of his days and untiringly decorated the rooms and refurbished the place according to ideas brought from his numerous trips outside of France. One of the many rooms in the house were decorated with blue and white tiles, armory, red silk carpets on the floor and up toward the ceiling, copper vessels brought from Turkey. This was the Turkish room. The house serves today as a museum, making a small town on the Charente River a livelier place. Discover more about French heritage of Pierre Loti.